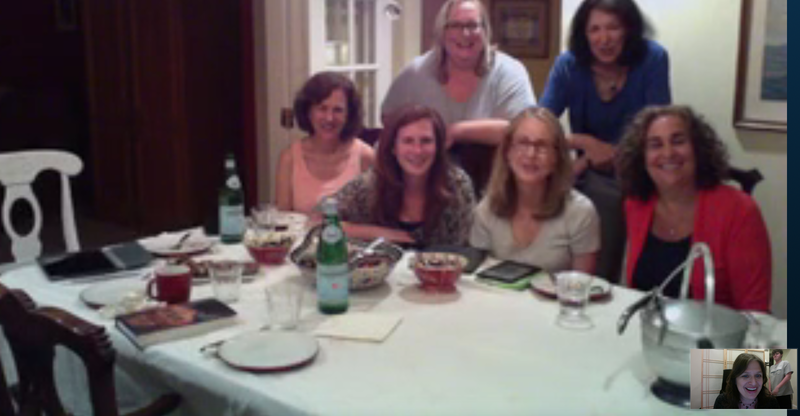 Henna House Book Club #127 Skype to Scarsdale, NY. This is the only photo featuring my camera shy 14 year old son. Can you find him?